The data sheet outlines a content strategy process to plan and execute content into clusters, a critical method for a successful inbound marketing campaign and optimum organic SEO. When planning a new approach, it is more effective to get help to ensure your first content implementation is done following best practices and serve as a model for your team. The Content Strategy does just that by mapping out a strategy and specific steps for your business that will, over time, initiate Inbound Marketing using proven methods. 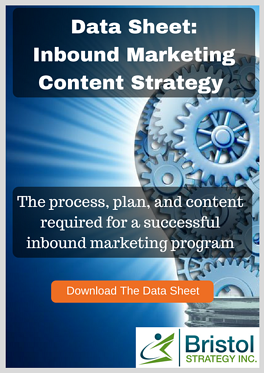 Download the content strategy data sheet now by completing the form.